The first look of these Vivid lipsticks really impressed me cause of the classy, matte twist up packaging. This range has 4 colour options to choose from, out of which I chose 03 Mad Magenta - a subtle magenta shade with pretty pink hues that is perfect for day wear. The product has a creamy and moisturising formula because of which it smoothly glides on the lips. On application the product takes a few minutes to settle into a semi-matte finish and during this time you need to be a bit cautious as the product can get transferred easily. 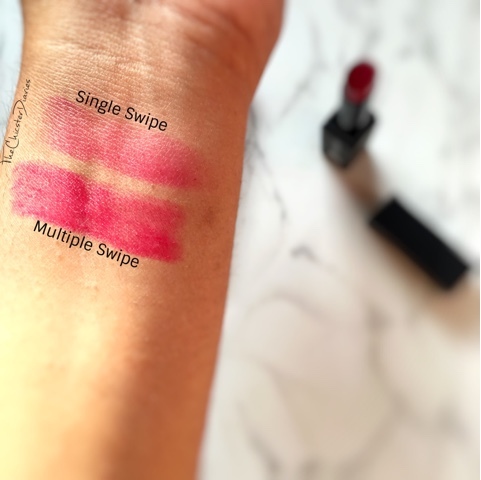 Honestly speaking the formula it had to offer couldn't have been better, as even though this is a matte lipstick you need not worry of the product being drying or settling into fine lines. This is one of the few matte lipsticks for which I do not have to prep my lips prior to application. Hope you liked my today's blog post. 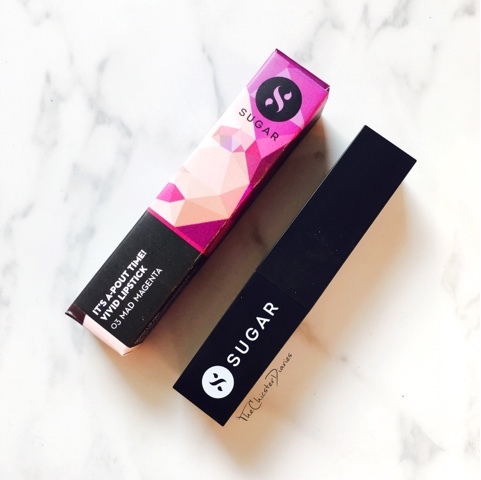 Do let me know in the comments section below if you have tried any products from Sugar Cosmetics before? Which is your current favourite matte lipstick? Wow so pretty! Beautiful shade on you, gotta check this lippie. Lovely shade babe! I love the formula of these lippies! not flat matte! The shade looks great on you! The brand has really worked well on product formula. The lipstick looks so moisturizing in the packaging itself and the shade is gorgeous. I have been hearing alot of this range, seems to be a real winner ! 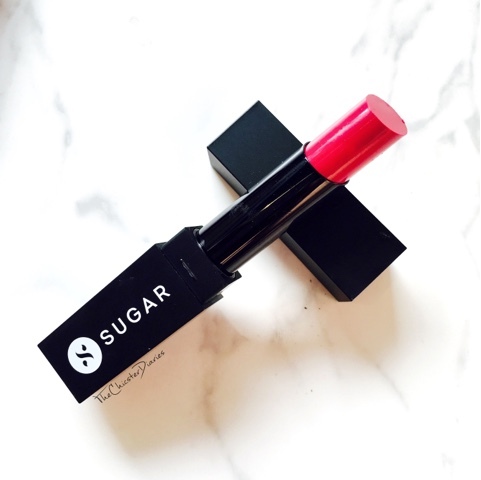 Sugar has fast come out with deliciously colored superb matte lipsticks. Great review! Lovely swatches....looks very pretty on you😊. 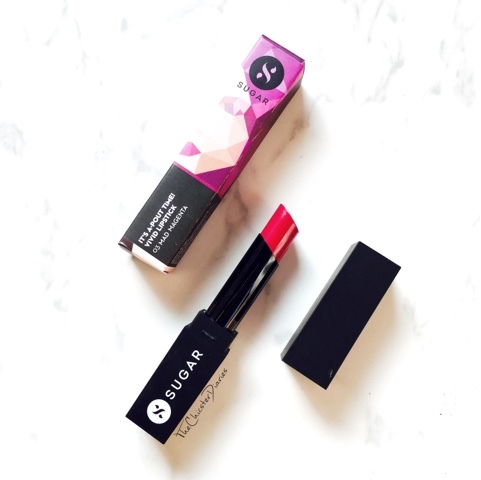 Sugar cosmetics are nailing it!! Love the shade..very pretty...and it's looking fab on you. I am yet to try Sugar cosmetics.. 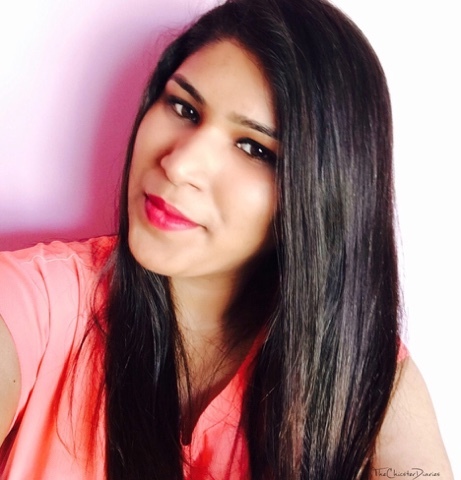 I am loving this shade on you Rajshree..
My favorite shade out of the other 3 shades.